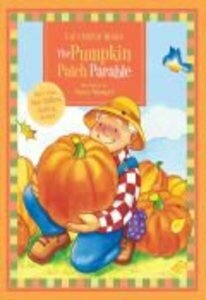 ^Timeless story about God's love for His children.^^This charming story for children illustrates how a loving farmer can turn a simple pumpkin into a simply glorious sight. In the same way, God's transforming love can fill each of our hearts with joy and light. Liz Curtis Higgs created this parable as a way to share the Good News with her own precious children each harvest season . . . and now with children everywhere. About "The Pumpkin Patch Parable"